First – let’s tackle the pronunciation. Sound out the o’s as if you were saying book, not boot. Bootie was my maternal Grandma. She had a sharp wit and quick wink (which I’m very grateful to have inherited). I’m not entirely sure how she first got that nickname but it definitely seemed to suit her. 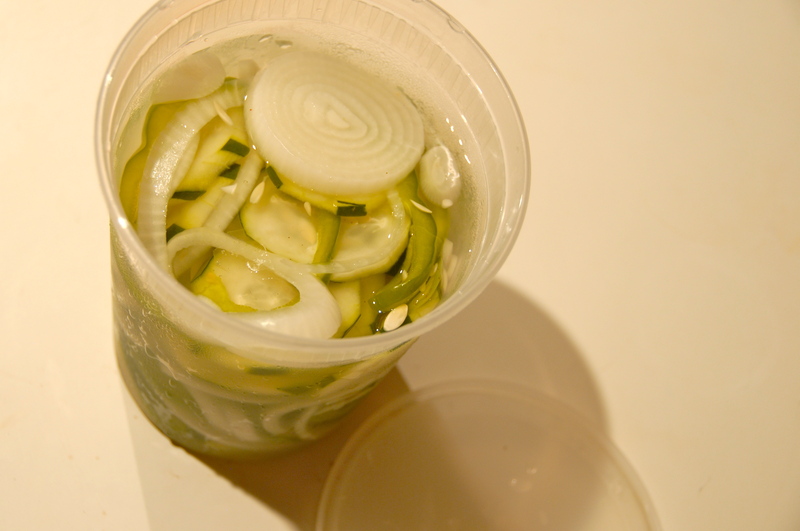 I have very fond memories of Gram in the kitchen – she made killer deviled eggs, hearty chicken noodle soup from scratch and my personal favorite – these cucumbers! I’m not sure if they quite qualify as a pickle but they sure are delicious. Every summer I knew a quart could be found in her fridge and if we were lucky a container would be sent our way as well. Recently craving these refreshingly sweet’n’ vinegary cucs I had my Mom track down the recipe and I’m so glad I did. Now I get to share it with you kind folks! This entry was posted in Cucumbers, Onions and tagged cucumbers, Grandma, green pepper, onion, pepper, pickle, salt. Bookmark the permalink. 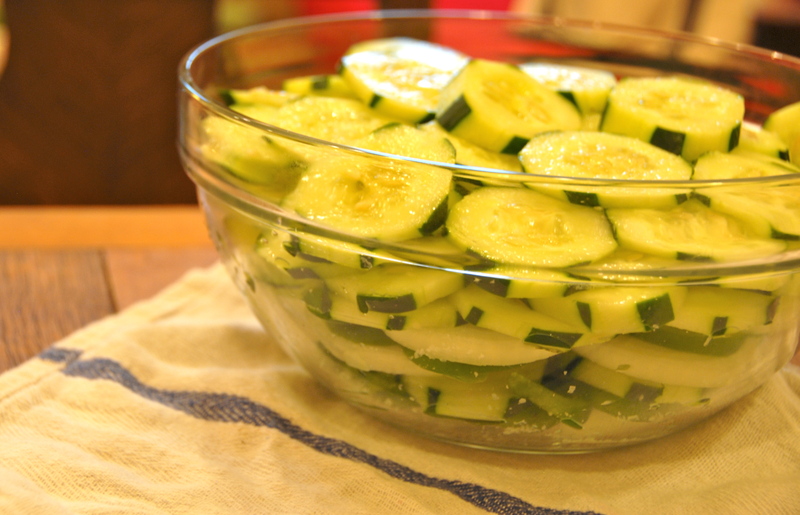 My grandmother made just about the same cukes and I have always looked forward to having them in the summer! Thanks for sharing!! Oh yeow these look delicious!! Thanks for sharing Ams!